Mr. Gallagher concentrates his practice on complex civil litigation throughout Arizona, the United States, and abroad. He has been interviewed by Dateline NBC, local news networks, the Los Angeles Times, London Times, and Gentlemen's Quarterly in connection with cases he has handled, and those matters have also been featured in The Wall Street Journal and The American Lawyer. His practice includes insurance bad faith, insurance coverage, insurance coverage litigation, excess and surplus lines, directors and officers liability, personal injury, wrongful death, products liability, professional negligence, construction, and intellectual property litigation. 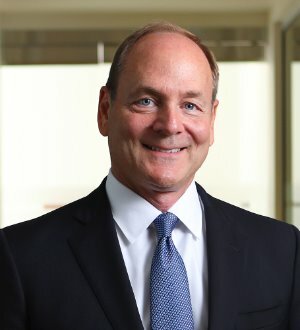 He has received Martindale-Hubbell's highest AV®, Preeminent™ rating, AVVO Rated 10 Superb, has been selected as one of Arizona's Finest Lawyers, was selected to Best Lawyers in America for 2013 and 2014, and was recognized in the 2010, 2011, 2012, 2013 and 2014 editions of Southwest Super Lawyers. Mr. Gallagher was also named by Super Lawyers as one of Arizona's Top 50 Lawyers for 2014. Mr. Gallagher has substantial and innovative alternate dispute resolution experience as a neutral. He regularly serves as a mediator, arbitrator and settlement conference judge. Mr. Gallagher also serves as a Judge Pro Tempore for Maricopa County Superior Court. In the Larry L. Hillblom probate case in Saipan, one of the largest and most litigious probate cases in the world, Mr. Gallagher successfully represented one of the heir claimants in securing the client's share of the $600,000,00 estate. In addition to regularly defending clients against multi-million dollar claims, in the past several years, he has recovered more than $100 million on behalf of clients in various jurisdictions. Mr. Gallagher regularly represents parties in complex insurance coverage and bad faith litigation matters. In Maricopa County Superior Court in Phoenix, Arizona, Mr. Gallagher recovered a $5,950,000 verdict on behalf of U.S. Fire Ins. Co. in a bad faith failure to settle action against the primary insurance carrier. Mr. Gallagher represented the Insurer in insurance coverage litigation arising out of 16 class action suits seeking damages related to organic milk allegedly produced in violation of organic standards. He also represented the Insurer in insurance coverage litigation arising out of claims for $500 million in damages from alleged infringed copyrights or trademarks and appropriation of intellectual property. He is admitted to the State Bar of Arizona, the United States District Court, Districts of Arizona and Colorado, the United States Court of Appeals, Ninth Circuit, and the United States Supreme Court.